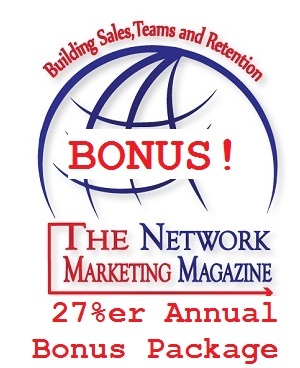 Just Become An Annual 27%er Success Member! Choose The 27%er Annual Membership! 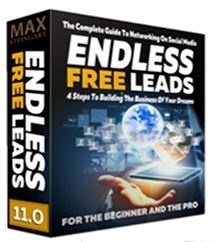 COMPLETE step-by-step video instructions that cover in complete detail; the system, strategies and scripts to finding the best prospects, qualifying them without rejection and bringing them into any type of business as fast and as often as you like. This is not theory. 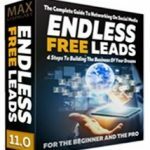 You are getting a real-world applied prospecting system that some of the largest distributor organizations in Internet and Network marketing use to grow their businesses. And it’s applicable to any other type of business. In the positive, you won’t have to be technically savvy. YOU’LL RECEIVE A SPECIAL QUICK START SYSTEM for the networking beginner that shows how to create a list of your friends, find them on Facebook and bring them into your business without rejection and quickly help them do the same within 72 hours. If you already have a Facebook page you can be making sales within 24 hours. “The Social Networking Scripts Book” with 65+ PROVEN SCRIPTS AND QUALIFYING QUESTIONS that ELIMINATES REJECTION whenever you’re talking to someone about your business either online or at the mall. ACCESS TO MAX’S PRIVATE VIDEO LIBRARY containing hundreds of “Subject Specific Video’s” demonstrating the precise answers to any question you could possibly have and other most frequently asked questions. ALL VIDEOS are HD Quality and viewable on any Smart Phone. 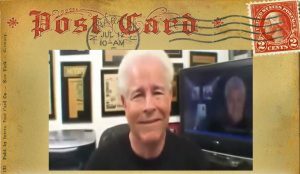 Check Max’s short 17 minute video postcard to discover how effective this will be for your business!